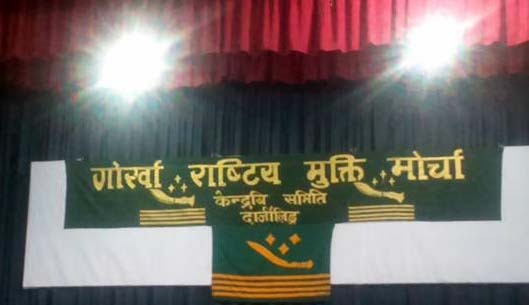 The Gorkha National Liberation Front today organised a public meeting in Darjeeling to mark the party’s 37th foundation day where it championed for the issue of brining the hills under the Sixth Schedule of the constitution. Paying rich tributes to the party’s founder president Subash Ghisingh, GNLF Darjeeling branch committee spokesperson Y. Lama said, “Our president (Sunash Ghisingh) had vision and so took up the Sixth Schedule issue in the best interest of the hills." The GNLF spokesperson said that had people not objected to the Sixth Schedule in 2005, by now a separate Gorkhaland state would have become a reality. “The states in the Northeast that were brought under the Sixth Schedule have now become full-fledged states and are prospering. That is why we say the Sixth Schedule is the next step towards achieving a separate state,” Lama said. He claimed it was Ghisingh who had requested the then UPA government to starts talks with the GJM for Gorkhaland. “The GNLF has helped the GJM. It was Ghisingh who requested P. Chidambaram on three occasions to start dialogues with the GJM on the statehood demand. We (GNLF) had kept quite then so that the GJM could take forward the statehood demand. But sadly they failed to work,” the GNLF spokesperson said in the public meeting held in Chowk Bazar. Terming the Gorkhaland Territorial Administration unconstitutional, the GNLF leader said the Sixth Schedule was the best option for the hills. “The GTA does not have constitutional guarantee. But the DGHC is constitutional and so is the Sixth Schedule. We demand that until the Sixth Schedule is achieved, the DGHC should be revived,” Lama said. On the GJM-BJP alliance, Lama said the saffron party had failed to work for the interests of the hill people. “Has the GJM really taken up the statehood issue with the BJP in the right perspective? How many times or with how many BJP leaders has the GJM placed the demand? This should be made public,” the GNLF spokesperson said.